This is a super simple CAS card..no cutting, no measuring just a touch of Really Reasonable Ribbon and a few pearls. The card is the elegant deckled Fabriano note cards. Images are Savvy Stamps. Easy, peasy! Thanks so much for joining us in this week's "Stamp Simply" color challenge! 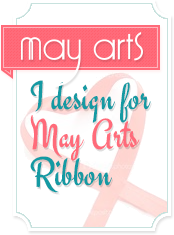 Those Fabriano bases are pure luxury and adding more layers would really be a distraction -- this image, ribbon, and color combo are the perfect elegant addition!